This is to let everyone know that I placed an order on Fabfurnish.com, 40 days back (order no. 200001161) and I received the item in broken condition. From that time, my money (Rs 3599) is stuck, as even after daily follow ups with their customer care team, they haven't released this amount. I regret having bought this item from Fabfurnish. They give discounts only to lure customers and then treat them like this. Think 10 times before you place any order on their site. A refund in the form of NEFT has been processed. Please note the reference number - 1098f12181000007. Please check with your bank to know the status on the credit. It can take upto a maximum of 7 working days for the amount to reflect in your account. I regret having bought this item from Fabfurnish. They give discounts only to lure customers and then treat them like this. Think 10 times before you place any order on their site. almost same experience here - but this time they playing with my Order also (not only money)..
Summary - due to discount coupon - they cancel my order. Still Not received any Shipping information after 15 days of payment!!!!! and remember - This time I placed this Order after they request me twice!!!!! We are already escalated the matter to our team on your behalf. As per our team's communication with you, your issue will be fully resolved within the stipulated time lines. Request you for your patience and support while we help you in the best possible manner. fabfurnish.com wrote: We are already escalated the matter to our team on your behalf. 1st - what about my another order 200087686 which placed & paid more then 1 week ago??? 2nd - as per your executive (when she request me for ordering same item again) - you'll keeping one pc of Bajaj Platini Geyser for me!!!! then why still I am waiting???
. . . what about my another order 200087686 which placed & paid more then 1 week ago??? even deleting my comments also!!!! As per our team's interaction with you, we will be shipping your order by the end of this week & willl ensure that it gets delivered to you. Request you for your patience. We are always available for your support & we will follow-up till your issue is fully resolved. Can you post my ORDER STATUS NOW ---- NOW ???? lol - NO,, you not,,,,,,,, or maybe - yes - you'll post same type of reply here as you posting in everywhere when any customer complaining against your cheap Cheating!!!! eh!!!! are you???? what support??? another phone call with another fake promise??? again same type of harassment??? WHY PLAYING WITH OUR TIME AND ENERGY and MONEY???? last month You cancelled my 1st order and refunded my money - so I posted my review here and in another site - that's all,, But then WTF you call me again and request me for placing that order again???? for cancelling this order also??? IS IT MY PUNISHMENT FOR POSTING -ve feedback????? PLEASE STOP THIS type of CHEAP GAME for easy ADVERTISING. 1st do something for improving you ill service..
. . . . . . . Request you for your patience and support while we help you in the best possible manner. "Following item listed below from your order have been canceled as requested by you"
Net transaction still not safe due to this type of few Online portal who doing this type of in Fraud/cheating..
We understand that it has not been a fruitful experience wherein we could not honour your request. We consider it very unfortunate that we could not arrange the stock for you, This is an embarrassing situation for Fabfurinsh as well as we take utmost pride in our procurement and delivery standards. This has been a miss from our side and we regret the inconvenience this has caused. We are providing you with a discount voucher "xxxxxxxx" wherein you get a Rs. 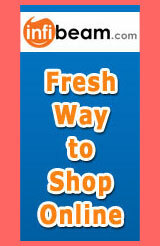 500 / - discount on a minimum purchase value of Rs.1500/- and would be valid for the next 10 days. We would be highly obliged in case you place an order with us and we would strive to provide you with the best customer service which you deserve as a Fabfurnish Customer. pmpl AGAIN??? NO WAY!!!! Never!!! What a useless WORST service!!! I always had good experience shopping with FabFurnish... Even if I faced petty issues they handled it well...I would also like to mention about their awessome product range...I can find al my necessary things of home furnishings under one umbrella...Good work guys! Saurabh Bhickta wrote: I always had good experience shopping with FabFurnish... Even if I faced petty issues they handled it well...I would also like to mention about their awessome product range...I can find al my necessary things of home furnishings under one umbrella...Good work guys! why not making own post and post your (??) paid-back there!!! I would like to share my shopping experience with FabFurnish.com and would totally disagree that they are not good enough. I bought a dinning table and it was delivered in due time and even the coustmore care support was really helpful. Would like to mention Sarika here, she did helped me in a lot in tracking my order and delivery. Fabfurnish.com worst ecommerce site in India.. Same as Timtara.com which just a cheater.. They have few Paid PRO who now trying to clean fakeFurnish's dirty image by posting Fake review and false feedback in everywhere.. 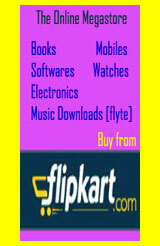 Paid reviewers now using all trick just for money..
anjansarma wrote: Fabfurnish.com worst ecommerce site in India.. Same as Timtara.com which just a cheater.. I am sorry but I disagree with you and many people here, My spouse recently ordered for a sofa set for her parents as they are in India and he is stationed overseas. So, he asked his parents to keep a track on the order till the time it is not being delivered, since his mother is too old to use internet, she used to call at the customer care, the customer care executive Asha understood his mom's concerns and handled her very patiently. The product was delivered within the stipulated time . and also the installation was done immediately. Now, you will think I am also a PRO of FabFurnish? But lady, I agree that people make mistakes, this doesn't means they will repeat it always. We had a fabulous experience with FabFurnish, infact my friend recommended it to me. Now, we recommend it to everyone!! The thing is if your problem couldnt get solved it does not mean either that party or people supporting that party are fake! Get into reality!! You also might like some site, where I had faced bad experience.. so it doesn't mean either of us are wrong or right.